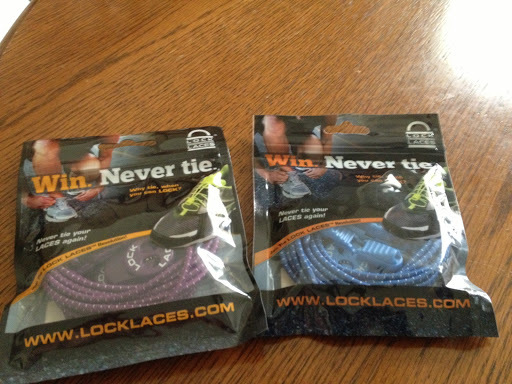 I received a pair of Lock Laces in my Stridebox. And because I like them so much I purchased three additional pairs. I don’t have enough shoes (yet) and want to give a pair away so that you can see how great they are! I have two pairs (purple and royal blue) and a pair can be yours. Rafflecopter will choose a winner after midnight, July 31st, and I’ll announce the winner here. Good luck! They are the newest craze around these parts. 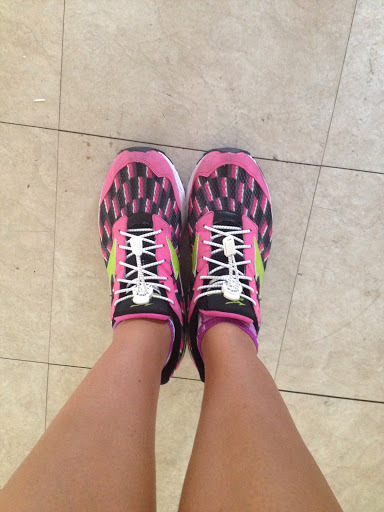 I wonder if having these would end my compulsive shoe-tying before runs????? LOL. Ps. I would take either color. 🙂 Beggars can't be choosers! I'm a purple girl…it's my favorite color & most of my shoes have purple in them. I would love to try these..love the purple color!